So, what is capstone? A capstone project is done by a candidate at the end of their degree. It is a summary of the main learnings from throughout the course or it can be an in-depth exploration of one or more areas from a program that was studied. A master thesis is a written research paper done by students in a master’s degree program under the supervision of a faculty advisor to fulfill the requirements of the Master’s program. This article will teach you how to do a literature review. We will tell you all you need to know about writing a literature review so that you are able to write that paper with ease. How do you feel about death penalty? Writing death penalty essays can be challenging or fun depending on your religious or political beliefs. If you are an IB student, you will be required to conduct a TOK presentation. As writing a theory of knowledge presentation is a must for all IB students, let’s look at how to do it. Expository essay topics can be wide and varied, spanning the most mundane and everyday topics to exciting and controversial topics such as politics and religion. We have listed some expository essay ideas grouped into popular categories. Illustrative essay topics require you to explain a given subject matter using many examples, including stories, statistics, etc. in an effort for the reader to fully understand the main idea. Regardless of the type of academic paper you are writing, it is essential to quote where you found the information you used to support your points. Experiential essays deal with personal experiences which have to be clearly elucidated and reflected upon. 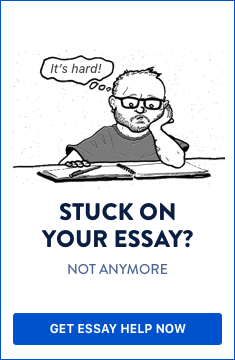 Read more and check out a sample of how an experiential essay should be written.